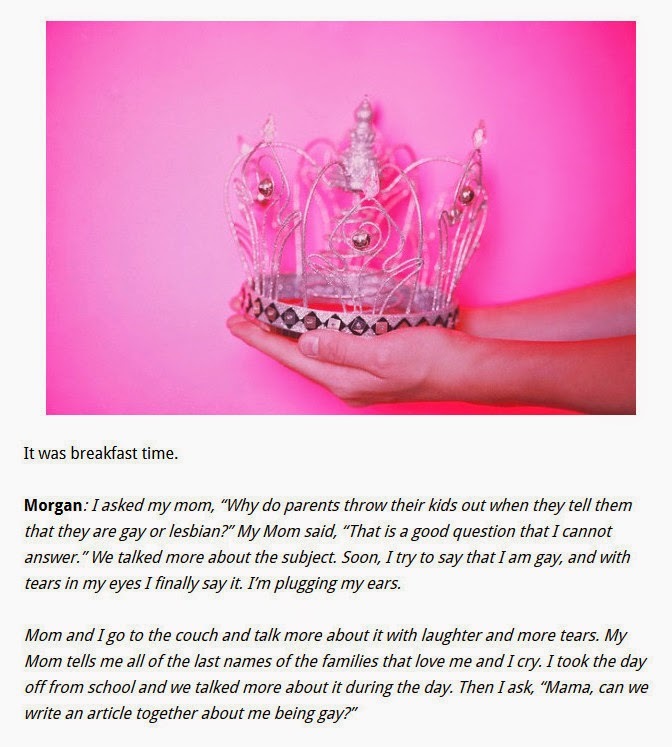 Morgan: I asked my mom, “Why do parents throw their kids out when they tell them that they are gay or lesbian?” My Mom said, “That is a good question that I cannot answer.” We talked more about the subject. Soon, I try to say that I am gay, and with tears in my eyes I finally say it. I’m plugging my ears.